Hampshire scooped the Royal London One-Day Cup in 2018 after Rilee Rossouw's century teed up a 61-run win over Kent at Lord's. Those two teams will be in front of the Sky cameras again on Wednesday as this year's tournament begins - live on Sky Sports Cricket from 12.30pm - but will they be there at the business end? It's hard to look past Nottinghamshire - just look at the signings they have made. Ben Duckett is such a good player and Joe Clarke has made a great start in the Championship. They seem to have the pick of the Midlands when it comes to recruiting players from that area. Samit Patel will continue to perform and Alex Hales will be available having not been signed by an IPL side. 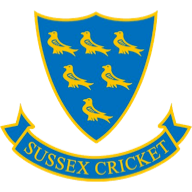 They will miss Harry Gurney, who is in the IPL with Kolkata Knight Riders, but having James Pattinson back will boost the bowling, so I think they will make the knockout stages. I quite like Worcestershire. They won the Vitality Blast last year and were only beaten very narrowly by Kent in the semi-finals of this competition. 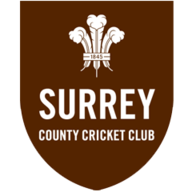 Ben Cox, their 'keeper-batsman, is a lively player, while I hope to see more of Pat Brown and his variations after he impressed with the ball in 2018. It will be interesting to see if he can show his T20 form in 50-over cricket. They have a lot of exciting young players in their set-up and a fine overseas player in Callum Ferguson, although he will only arrive for the second half of group games. The whole of the Notts batting line-up! Ferguson, as well, who was excellent for Worcestershire last season in this format. I remember interviewing him last year and I was very impressed by his manner. He reminded me of the Australian players who were around in county cricket in my day - Jimmy Maher, Martin Love, Jamie Cox. Never regulars for their country due to the strength in depth Australia had but mighty fine players and people. Sticking with Australians, Glenn Maxwell could give Lancashire a lift after they didn't get out of the group last year. Derbyshire leg-spinner Matt Critchley, who is still only 22. He is growing with the ball and is a talented batsman as well. For counties like Derbyshire, you feel a run in white-ball cricket is up for grabs and Critchley could be key, alongside his veteran team-mate Wayne Madsen, who always scores runs. Durham's Ben Raine, who returned to the county from Leicestershire over the winter. He gives it a slog with the bat and should get some joy with the ball early season. I've got to go for Surrey, principally for their batting. You can add Will Jacks to that now, who scored a T10 hundred from 20-odd balls in pre-season. Jason Roy will be playing, while they also have Rory Burns, Ollie Pope and Dean Elgar. They look the team. Last year's finalists Hampshire and Kent. 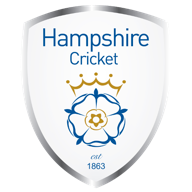 Hampshire are the defending champions and their batting looks tasty again, with James Vince, Sam Northeast and Rilee Rossouw joined by Aiden Markram. 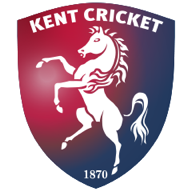 The hardest thing for Kent will be that Joe Denly and Sam Billings will be missing due to the IPL - they are big losses, Denly with his leg-spin as well as his batting. He is almost two players in one. But they have one of the best young batsmen in the country in Zak Crawley. Middlesex have signed Ross Taylor for a bit - he is a top-quality player and will want to use these games as a way to get in top form for the World Cup. Alastair Cook will also be available for the whole of Essex's campaign. People have said he's not a one-day player but the last time he played a lot, in the One-Day Cup in 2017, he scored three hundreds and three fifties in nine innings and qualified for the North vs South Series! Hopefully Crawley will be opening in the one-day format as he does for Kent in the County Championship. Since he started opening in the four-day game, he has averaged well in tough conditions and is an England player of the future, no doubt about it. He has a good technique, good temperament and real talent. Another Middlesex man, Paul Stirling. He is someone who never gets tipped up but he is a dynamic batsman and someone opposition teams want to get out, as well as bowls phantom off-spin and is a safe pair of hands in the field. Watch selected games from the Royal London One-Day Cup live on Sky Sports, starting with a repeat of last year's final as reigning champions Hampshire visit Kent.